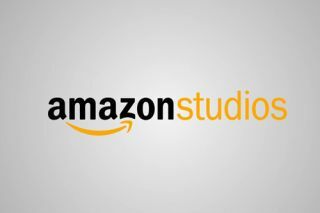 Amazon Studios plans to shoot films and TV series in 4K | What Hi-Fi? Amazon Studios has confirmed it will film all original content produced in 2014 in 4K Ultra High Definition. The TV and film production arm of amazon.com currently produces content received from online submissions and feedback from users, and is then distributed through Amazon's own Instant Video service in the US, and Lovefilm in the UK. Amazon announced in 2013 that it would produce five new comedy and drama pilots in 2014. It will then receive feedback on the pilots, from a range of customers, and will then determine which pilots will be made into full series, and film them in 4K. The move to shoot all content in the Ultra HD format would mean Amazon will be one of the first providers, other than Sony, to offer an extensive range of 4K content. Rival streaming service Netflix also recently announced it would film season 2 of its Award-winning original series, House of Cards in 4K (as it did for season 1). As of March 2013, Amazon had received in excess of 10,000 film ideas and 2700 TV pilots. However only 26 films and 23 TV pilots are currently in active development.